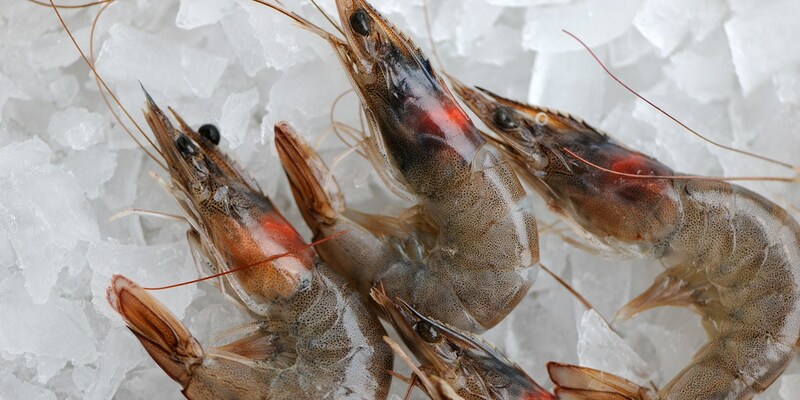 Prawns vary in size depending on variety and can be bought in a number of ways - cooked, fresh or frozen, shell on or peeled. Aim to buy your prawns as fresh as possible, and take care not to overcook them as their firm, meaty flesh can turn rubbery if left too long. The umami goodness of prawns can be well complemented by a whole host of flavours; the key is to surround prawns with enough spice or strong flavours to give them oomph. Prawns are used frequently in Asian cuisine and, while we all know the merits of a good prawn curry, there are other ways that you can use them and this collection contains plenty of inspiration for prawn recipes with a punch, Marcus Wareing uses prawns in his Asian seafood broth while Alfred Prasad’s Kalonji jhinga is a fantastic chilli prawn recipe, cooking them in a spicy batter. Prawns also pair well with creamier flavours. Shaun Rankin’s Prawn risotto recipe is flavoured with fresh herbs and Parmesan, while Pascal Aussignac’s Fish risotto is topped with juicy grilled prawns. For an update on a classic starter try Chris Horridge’s Prawn cocktail recipe, a dish which eternally succeeds thanks to the tart, piquant notes of the sauce. Serve with salad and crusty brown bread.